Results of a new online poll of more than 1,000 New Yorkers, conducted by firm Change Research, make it abundantly clear: New Yorkers feel public libraries are irreplaceable cornerstones of New York City, especially for the city’s most vulnerable. These poll results come as the city’s three public library systems are struggling to cope with rising costs, increased demands, growing footprints, and aging buildings—while also facing budget cuts this year. 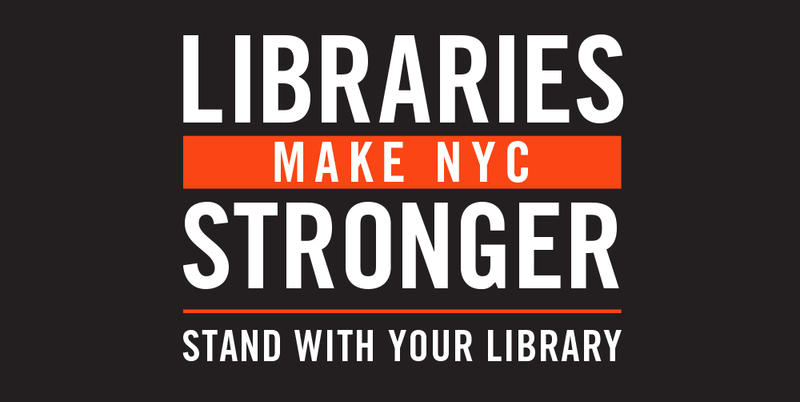 If funding for libraries is cut in the Fiscal Year 2020 budget, New York City’s libraries will face reduced hours, services, and staffing levels, resulting in a serious loss for New Yorkers. This is why the city’s three library systems are asking for you to add your name in support of more public funding for libraries. Send a letter now asking the Mayor and City Council to invest in libraries.